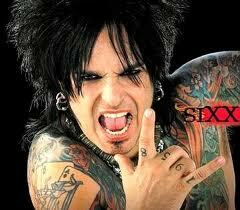 Dr. Feelgood may be just a song by Motley Crue, but the band's bassist, Nikki Sixx may be facing sinus surgery. "Spent a lot of the day at the doctors. The 80s and the damage done. Yes the sinuses are a mess. Eventual surgery. The price we pay." Typically, before sinus surgery is considered in a patient who is suffering from recurrent sinus infections, a workup is required followed by maximal medical management. In traditional sinus surgery, otherwise known as functional endoscopic sinus surgery, is when all sinus disease is physically removed endoscopically from the nose and sinus entrances are enlarged. Exactly what type of sinus surgery Nikki Sixx will pursue is not clear, but regardless of what method is selected, there will be a period of recovery afterwards which almost certainly will include saltwater sinus rinses. Our office provides both sinus surgery options as well as in-office sinus surgery.